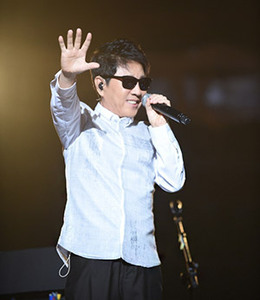 Singer Cho Yong-pil held the first press conference in five years in Seoul on Wednesday, having been rarely seen since a showcase for his 19th album "Hello" back in 2013. 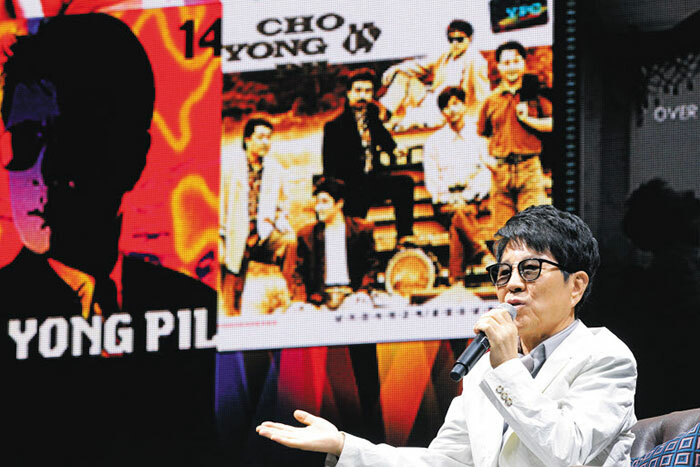 "I still listen to music every day, mostly on YouTube," said Cho, who is preparing for a nationwide tour celebrating the 50th anniversary of his debut. "There is definitely a reason why certain songs become popular. I also look up songs by young stars like EXO, Bangtan boys, and Big Bang." Cho who is in his late 60s said there is nothing he can do about aging but just face it. "I now focus on practicing songs that require a lower vocal range," he admitted. "I feel I have less and less energy as I get older. But I'm trying hard to continue my musical career." He does not believe he will be able to release a new album within this year. "I had so much pressure and ambition after the success of 'Bounce' on my 19th album," he said. "I have about six or seven new songs at the moment, but I'm not a multi-tasker. I can't work on the new album and the 50th anniversary tour at the same time." Cho Yong-pil talks at a press event for the 50th anniversary of his debut in Seoul on Wednesday. Cho recently traveled to North Korea as part of the South Korean group of musicians who performed in Pyongyang. "I felt sorry as I missed the chance to visit the famous Okryu Restaurant" to try its signature cold noodles, "but I had to stay in the hotel with flu," He said. "But despite my poor form I tried to do my best at the concerts." Cho said he has been eating and drinking less since the early 2000s to stay healthy. "I resist the temptation of eating late at night even if I'm really hungry," said Cho. "My biggest fear is letting my fans down by quitting music. Think of the feeling of betrayal that my fans, who have lived all their life listening to my music, would feel. I have to continue as long as my body allows it."